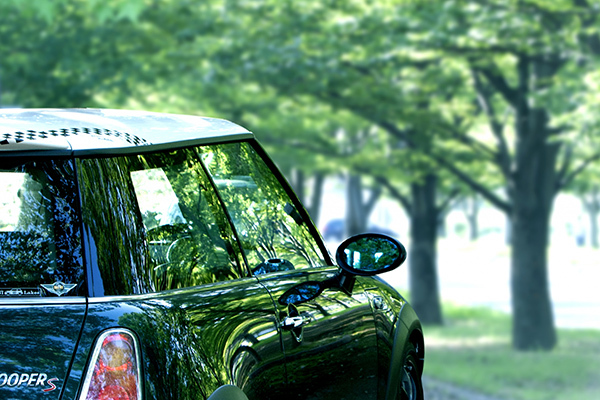 Now more than 8 million people visit Karuizawa every year. 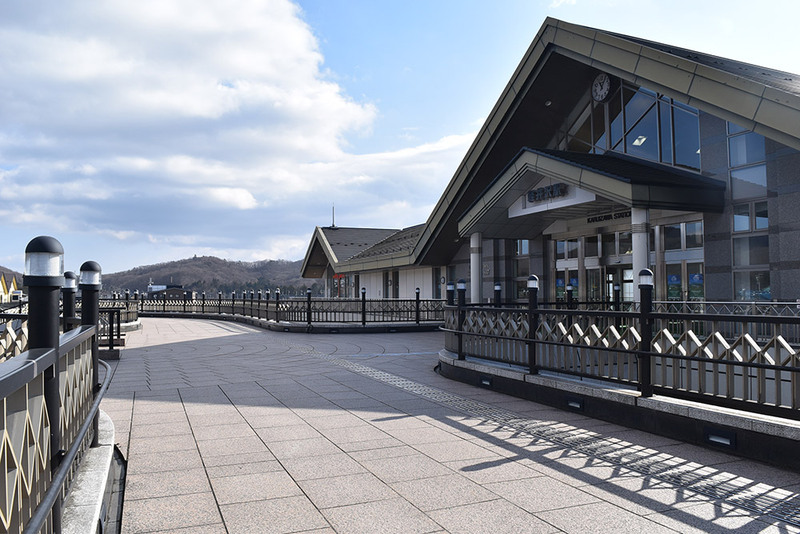 The opening of Joshin-Etsu Expressway in 1993 of the KARUIZAWA PRINCE SHOPPING PLAZA in 1995, and Nagano Shinkansen in 1997, changed the accessibility of Karuizawa in such a positive way. Nowadays the percentage of the tourists visiting Karuizawa for shopping is the highest it’s ever been, outside of visitors who exclusively go to summer resorts. There seems to be arguments both for and against this change, but in fact, once Karuizawa became more accessible, it is clear that now everybody can enjoy the beautiful nature and excellent culture of Karuizawa, which used to be only for the rich people. Karuizawa has everything; huge shopping malls, supermarkets, classic hotels with a long history, huge resort hotels, cute cottages, art museums, music halls, golf courses, tennis courts, ski resorts, hot springs, and elegant restaurants and cafés. Also Karuizawa is easy and quick to get there from the cities. By high-speed rail, it takes 1 hour and 15 minutes from Tokyo, 30 minutes to Nagano, and 1 hour and 40 minutes to Kanazawa. If you take a route bus, it takes 83 minutes to Kusatsu Onsen (hot springs), and 103 minutes to Manza Onsen. Now Karuizawa is not a far-way summer resort, has become a wonderful resort city with a lot of nature and convenient transportations. “comfortable accommodation” and “convenience for your activities”. One of the most enjoyable and traditional ways in Karuizawa to stay leisurely is at a resort hotel located deep in the woods. 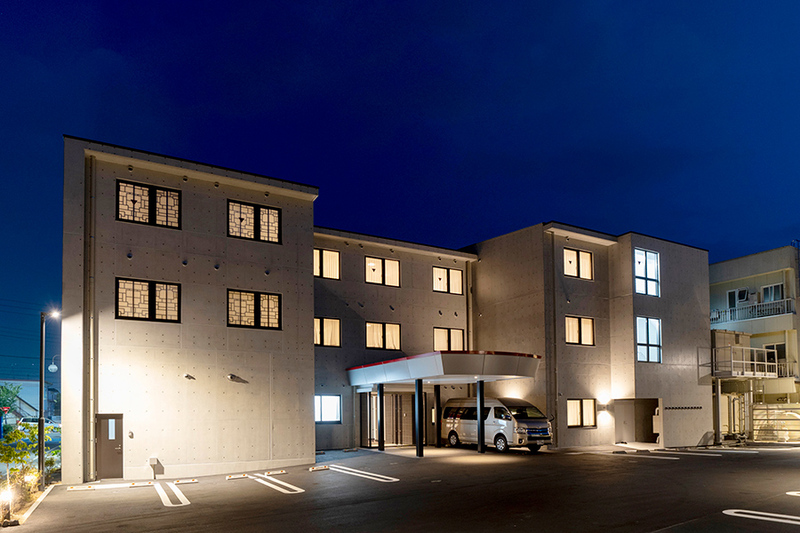 However, if you want to enjoy playing golf, skiing, shopping, delicious local food, and also going sightseeing around the cities from Karuizawa Station, a hotel with comfortable facilities and atmospheres located near the station is the best choice. So after rejuvenating at our hotel overnight you’ll be able to go out to enjoy more activities the next day. 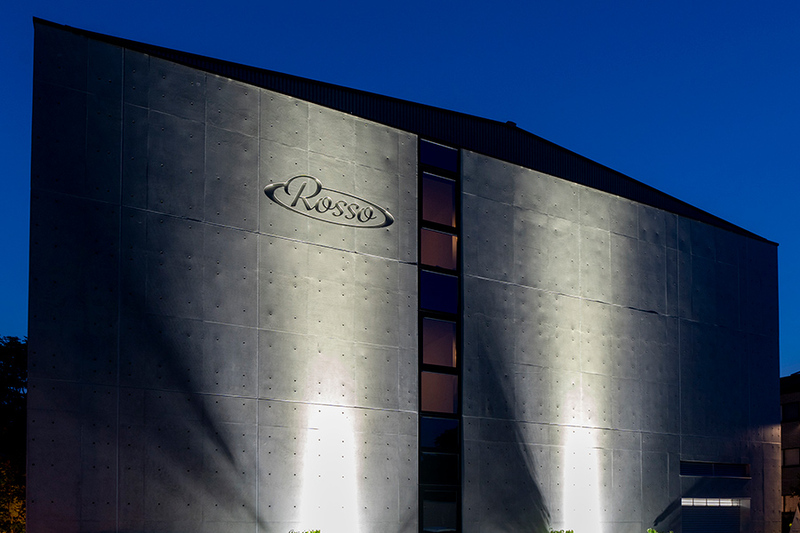 Hotel Rosso is a reinforced concrete building, which is rare for the hotels of this size. Compared with a steel-frame hotel or a wooden hotel, our hotel has an excellent sound insulation. During your stay, you will realize that you hardly hear the sound from the next rooms. All the floors of our guest rooms, the lobby, and the hallways have imported luxurious carpets, so the sound of footsteps from hallways and upstairs doesn’t bother you. Each of the guest rooms has a sliding door between the entrance and the bed space. The room looks small with the sliding door closed when you sleep, but with the entrance door and the sliding door, the room can be separated from the outside, which makes the room comfortable to sleep in. 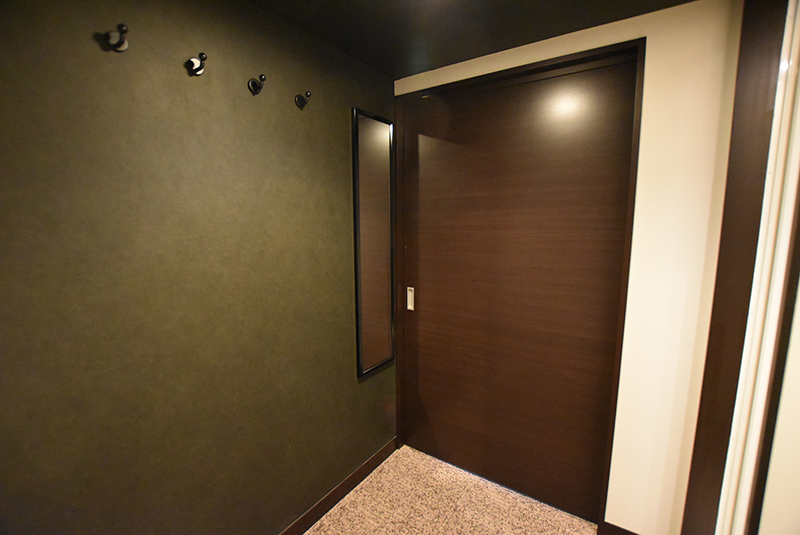 Also, a light with human body sensor is installed at the entrance, so when you get up and go to the bathroom at night, the entrance light can turn on just by opening the slide door. 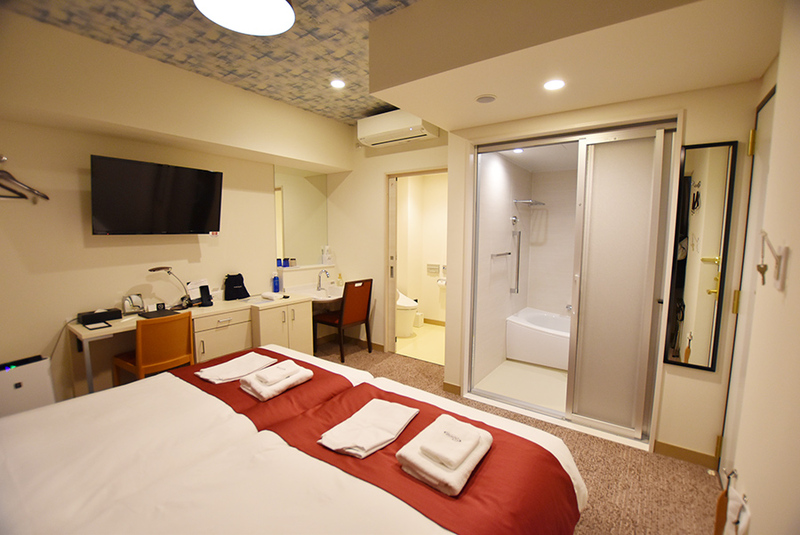 We would like everyone to enjoy Karuizawa, and so we have one universal room for a guest who uses a wheelchair. The bathroom is separate from the lavatory room, and equipped with a rain shower. The quality of the universal room is higher than that of a standard room. The room is available to any guests. Our Family Twin Rooms & The Hollywood Twin Rooms are perfect for an enjoyable trip with a group of three or more. 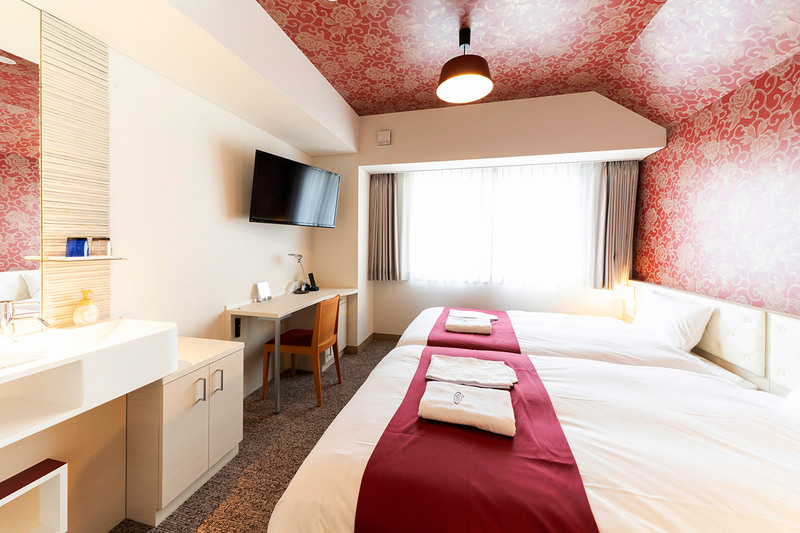 Both types of rooms have two beds side by side and The Family Twin Room also has a Japanese-style Tatami room with a low table, where everyone can relax. Both types of rooms are great for a family with children, friends or a couple. Hollywood Twin Room, Universal Room and Family Room have a bathroom separate from a lavatory room. Unlike a unit bath, these bathrooms have a space next to a bathtub for washing the body, so you can safely take a bath with children. We have 4 Hollywood Twin Rooms, 1 Universal Room, and 4 Family Rooms. Early reservation is recommended because of their popularity. We provide rental GIANT bicycles (pay bicycle system) for you so that you can enjoy sightseeing in Karuizawa. You can rent a bicycle at our hotel, so it is very easy to rent and return it. 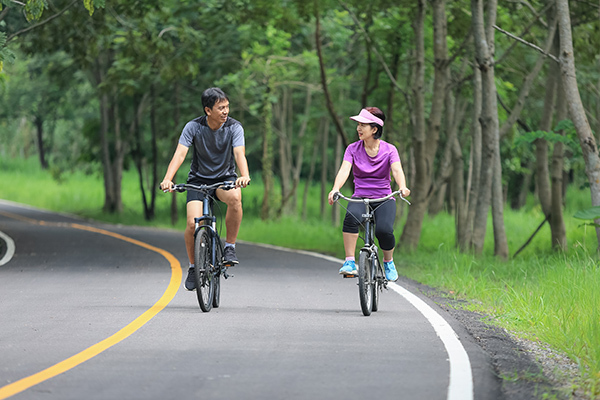 We recommend highly of our rental bicycle, because riding a bicycle around Karuizawa not only in summer but also in the season of fresh green and autumn leaves is very pleasant. Our rental bicycle is a stylish road bicycle, which makes your trip more exciting. We offer a rental skiwear service at our hotel, and if you need the service, you are required to make a reservation for the rental skiwear in advance. You can change your own clothes into a ski suit at our hotel, not at the ski resort, and go to a skiing ground. 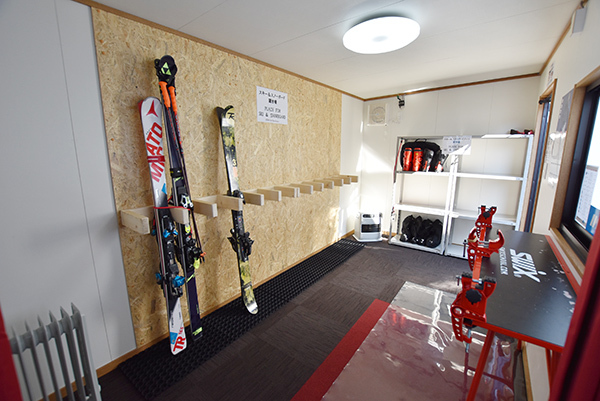 In winter, we have a drying room for skis (wax is OK) in our premises, so the guest with skiing equipment can stay at our hotel comfortably. Now that smart phones are a necessity for our daily life, you also need them even while traveling. 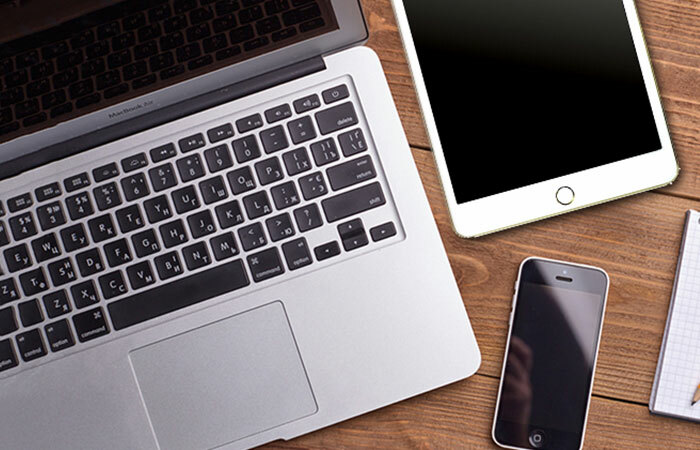 Free WIFI is available anywhere in our hotel, and you can use it comfortably to post the memories of your trip on a website, and collect information for your next day’s trip.